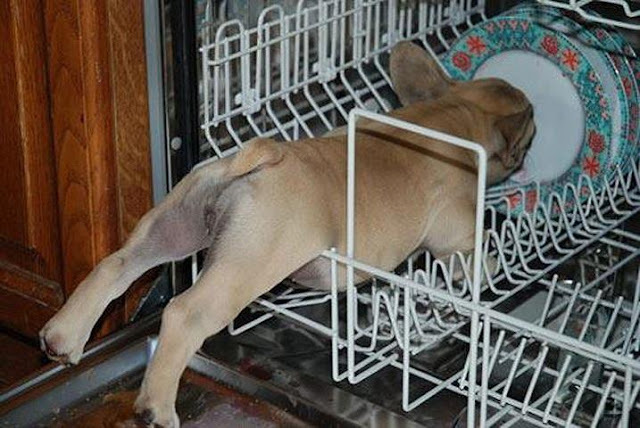 I just love this photo of this pup caught in the dishwasher licking dishes, it's really very funny. Enjoy! The puppy is so cute getting stuck in the dishwasher!